Blurrrrrrrrrrrrr is the sound of my holiday break. Blurrrrrrrrrrrrr is the sound of moving out of my mothers beautiful home in Wattle Glen and into our first home in Brunswick. Blurrrrrrrrrrrrr is the sound of renovations and cooking with a camping stove. Blurrrrrrrrrrrrr is the sound of baking a five tier wedding cake. Blurrrrrrrrrrrrr is the sound of sun, water, friends, food, family, extra kilos, walks, talks, everything in-between. Ummm, WHAT THE EFF KINDA YEAR WAS 2012? I mean! WOAH! What a roller coaster! 2012 you old dog! Beautiful love birds, Will and Luella were married on 30/12/2012 in a wonderful ceremony in South Melbourne. My right hand man and I made the wedding cake and approximately 15- 20 litres of hot sauce. 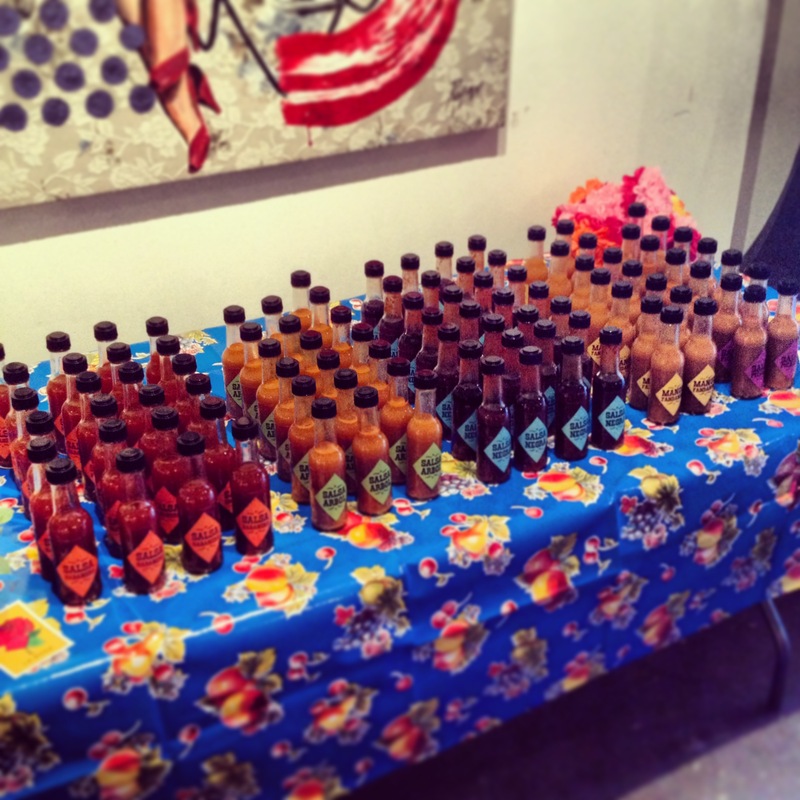 The wedding was Mexican themed, and the idea was for each guest to take home a bottle of hot sauce as a keep sake. We had so much fun making the hot sauce. We made five different varieties and wanted to share with you our favourite. Take the chilies and remove stems if they have them. Rehydrate by putting them in a bowl and covering with boiling water (put a plate on top to keep them under the water) for around 20 mins. In small batches, blend the chilies (seeds and all) with a small amount of water, just enough so it blends easily into a smooth pulpy mess. You want it uniformly smooth, no visible seeds, add more water as you go. Once it’s it all blended up, pour into a large pot with extra water and vinegar to taste. You want a fairly thin consistency, thinner than tomato sauce but thicker than tabasco. For this quantity of chilies Duncan used approximately 2 litres of vinegar, a litre of water and all the water used to hydrate the chilies. Bring to the boil, and immediately take it off the heat. Ensure the consistency and heat is as you want it. Pour into sterilised bottles and store in the fridge. This makes approximately 20 125ml bottles of hot sauce. You are going to be VERY popular. This sauce is wonderful on pizza, eggs, in corn chips, chicken, just about ANYTHING! You can experiment using alternative chilies and ratios. I love the smoky flavour of the Morita Chiles. 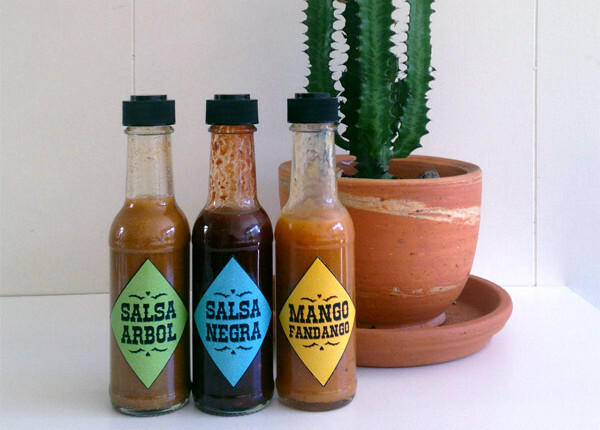 Originally hot sauce was stored in smoked barrels giving the sauce a lovely flavour. If you would like to continue the smoked theme, you can purchase liquid smoke from Thomas Dux and use any chili you wish. A very special thanks to my wonderful friends Danielle and Luke who let us use (destroy) their kitchen to make the sauce. Photo credit to Danielle also – actually 100% credit to Dan!